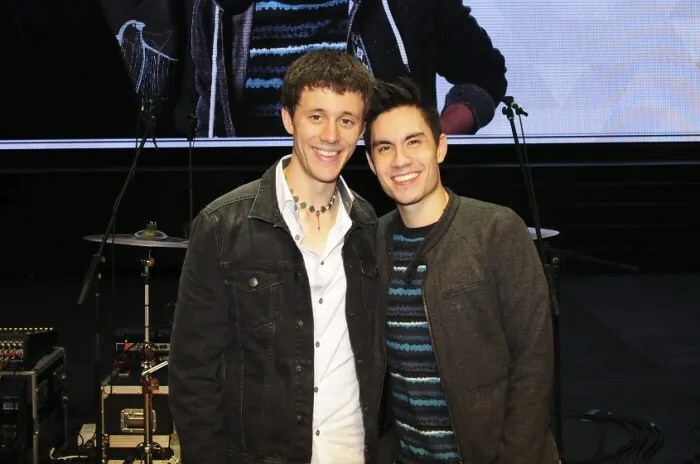 With such pure talents and good attitudes to boot, it’s pretty easy to see why Sam Tsui and Kurt Schneider have hundreds of thousands of followers on their YouTube channels. Obviously, one can’t do without the other because it was through Kurt (who composes, arranges, produces, edits, films, directs, sings, acts, and plays multiple instruments) that Sam delivered covers and mash-ups to millions of fans. But the videos wouldn’t have happened if not for Sam’s vocal prowess for he has one of the highest male voices we’ve ever heard! It was their combined powers that led to them eventually producing viral videos. But how do they stay grounded? Or rather, how is it that they’ve managed to successfully stay grounded since the beginning, despite the umpteenth viral video? Sam once suggested that it’s because they were the weird kids in school. Kurt was the funny guy who wore orange pants and Hawaiian shirts whereas Sam was a lot larger back then with buckteeth and crazy hair. Hah! We bet you didn’t know that. The duo has also recently released their first original album, “Make it Up”. You may purchase their album and other merchandise via their online store here. Meanwhile, if you’re planning to catch Sam Tsui and Kurt Schneider live in Malaysia for the very first time, you’re in luck! Thanks to our friends from Livescape Asia, we’re giving away 10 pairs of tickets to 10 lucky winners. Join the contest to snag ‘em.